The Marijuana Show Season 3 Reviews are in, almost all 5 stars for the Shark Tank of Cannabis, featuring contestants who are both entrepreneurs and leaders of the booming marijuana industry. The following reviews show the passion and support that continues for The Marijuana Show, with Season 3 being the most popular ever! "As the episodes go on, we learn more about the hopes and dreams of the contestants. It's inspirational to hear their stories and be witness to their dreams. I want all of them to win! "The filming and editing are great. It's fun and beautiful to watch.
" I very rarely watch a program that grabs and holds my interest in a multiplicity of ways. This show is tops! It's like nothing I've ever experienced. It's unique unto itself, it's a combination that's theatrical, educational, entertaining, quirky, hopeful and interesting beyond any mere reality show, but the most wonderful thing about this show is that helps so many people. It teaches those that otherwise don't understand how natural medicinal plant medicines can help promote health, and wellness. If Amazon Prime is bringing this type of programing to the people it is leaps and bounds ahead of other programming networks. BRAVO! These real life medical stories of common folk with ailments being helped by these natural medicines are astounding. And all these entrepreneurs needing Shark Tank funding, the program get's us as a viewer attached and connected and then we have a stake in their eventual ( hopeful) funding. The director/ producer of this program Wendy Robbins I think is brilliant . But, the imaginations of both power house creators including Karen Paull can be seen throughout the whole program, it is very well produced and edited,The Marijuana Show held me spell bound. Good Job!" "The Marijuana Show provides an authentic look inside the booming cannabis industry. Wendy and Karen shine as producers and personalities—they could make a show about anything and it would be worth watching. 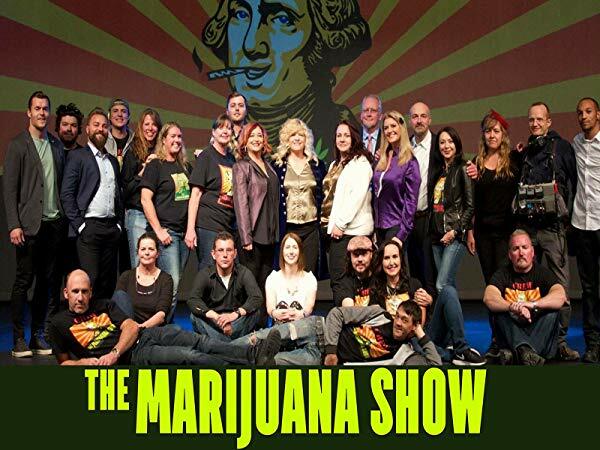 The Marijuana Show accurately portrays the challenges and opportunities faced by cannabis entrepreneurs as we continue the fight to end prohibition." And the Emmy goes to, "The Marijuana Show"
"This season is excellent and goes deeper than the past two, has more real authentic moments shared by the real authentic entrepreneurs, not some Hollywood stereotypes. I highly recommend you watch this season, share it with your friends and especially prohibitionists because it reflects that the people behind the industry are amazing, passionate, loving and talented! I am hooked, and can't wait to see the finale this fall! The producers, Karen Paull and Wendy Robbins not only have a hit on their hands, they have an Emmy Award show here." "All I can say is WOW! The first 2 seasons were great, but this one is amazing! It's educational, funny, and grabs your heart. Karen and Wendy do such a wonderful job of mentoring the contestants not only with their pitch, but why they're are doing what their doing in the cannabis industry. As you get to know the contestants, you start rooting for them all!!" "The show was incredible, all the players, amazed by their ideas, it has all aspects of how Hemp has been around for years, and the amazing products it can produce. Karen and Wendy were fantastic!!! Loved it!!!!" "Very informative, fun format where people get to launch their cannabis dreams! I enjoy the writing, and visuals. I am so happy to see how theses wonderful ladies work so hard to help others build their futures!! Cannot wait for second half of the season!!" "I love everything written and produced by these ladies... They do a great job of bringing to the light the “why” of cannabis legalization while also creating shows like this that help bring an industry insider glimpse for the rest of the world to see the “what” and “how” of the emerging new market. Love them and their work!" "Love these ladies and this show! It has helped me build confidence and learn from other entrepreneurs in the Cannabis space, showing anything can be possible if you work hard at it. It is also so cool seeing so many familiar faces from the industry that have been grinding and hustling for the last few years." "The MJ Show just keeps getting better and BETTER! I binge watch every time a season airs... I literally can't help myself. I'm inspired to become the next marijuana millionaire, myself." "I love how this show is shining a new light on the benefits of this beautiful plant. It touched on many of my emotions. I can't wait for the next set of episodes." ​The best show on Prime! watch complete season 3 - only here!